YOU WANT TO TRY FOR FREE! Beautifully designed and highly customizable widgets, containing super fast sport stats. A great solution to power up your online projects and mobile apps. 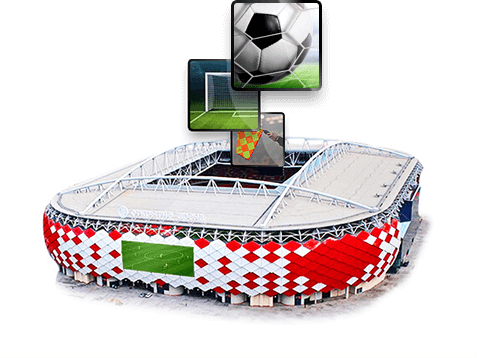 In-play live sports data visualizations that have revolutionized the experience for online livescore with every key game event animated! Powerful widget to increase both: prematch interest in upcoming sporting events and a betting organization's turnover. Stand alone solutions, fed with high quality data that's delivered by STATSCORE scouts. Can be used on any website as a subdomain or integrated into a web page using an IFrame. Unrivalled access to live scores and high quality sports data for 16 top sports presented in the form of an interactive matchboard. A breathtaking competition matrix, powered up with superfast, real time sports statistics and a wide selection of seasonal stats. A revolutionary platform to monitor a chosen team’s performance with the use of the fastest sports statistics presented with innovative animations. Raw data products that include a huge database of historical information, along with live, real-time sports statistics. All available in both JSON and XML formats. Shockingly fast live sports data created by our highly trained scouts directly from the venues. Fast and reliable live sports scores combined with the vast selection of global data for nearly 6,000 competitions worldwide.